The concept of variable patient response to medication is nearly 2,500 years old, first proposed by the father of modern medicine, Hippocrates, in his work the Hippocratic Corpus. While Hippocrates’ method relied on what could be determined in his day—patient age and condition—today, the detection of genetic variation between patients increasingly allows doctors to apply this knowledge in the selection and the dosing of medications for patients based on their molecular makeup. Pharmacogenomics—the use of genomic information to personalize drug selection and dosing—is still relatively rare in the clinical setting. But that is beginning to change through the efforts of clinical pioneers—among them St. Jude Children’s Research Hospital, in Memphis, TN, and the Mayo Clinic—and international coalitions such as the Clinical Pharmacogenetics Implementation Consortium (CPIC), that are spearheading efforts to provide both pharmacogenomics-based clinical guidelines, as well as evidence of improved patient outcomes via its application. The opportunity to positively impact patient care is significant. CPIC estimates 95% of people have at least one clinically actionable genetic variant that affects drug response (Richard Weinshilboum, M.D., and his team at the Mayo Clinic Center for Individualized Medicine’s Pharmacogenomics Program estimate it is as high as 99%). “The focus and awareness of precision medicine really opens up pharmacogenetics in the clinical setting,” said Ulrich Broeckel, M.D., a professor of pediatrics at Medical College of Wisconsin, and founder and CEO of fledgling pharmacogenetics testing company RPRD Diagnostics. Some of the push toward this is coming directly from patients, Broeckel noted, as their knowledge of genetic testing has increased due to the marketing efforts of direct-to-consumer genetic testing companies like Ancestry.com and 23andMe. Application of pharmacogenomics in the clinical setting promises to help reduce the rate of adverse drug reactions (ADRs) in patients for drugs post approval. 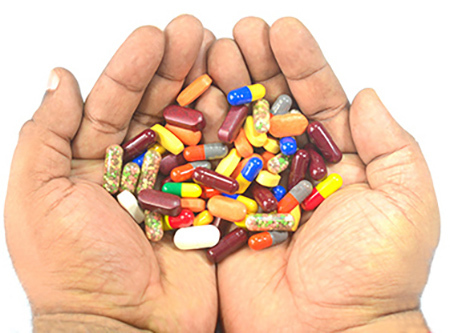 While patients are encouraged to self-report to the FDA any adverse reactions to prescription medication use, there is no comprehensive reporting structure in the U.S. to accurately quantify either the rate of injury, or death, attributed to the use of prescription medications (excluding those related to overdose or misuse).